“I’m so excited to see our team at the top! We’ve worked three years for this title and finally this year everything just came together” an overwhelmed Roble comments. “We’ve improved a lot over the season, and I’m very happy and satisfied that we can crown the 2015 WIM Series with a victory here in Korea” smiles Le Berre, finishing 3rd in the Series. 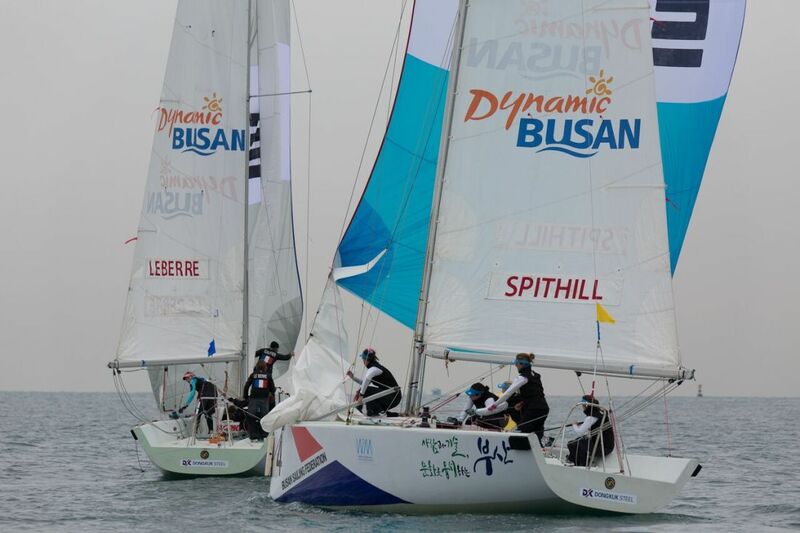 Sunday’s exciting conclusion of the Busan Cup Women’s International Match Race, the fourth and final event of the 2015 WIM Series, was nothing but an amazing denouement to the whole Series too. When seeing the light wind predictions for Sunday, Regatta Director Alfredo Ricci at the morning briefing announced the decision to cut the semis from “1st to 3” to “1st to 2” wins. As the wind in front of Haeundae Beach unfortunately was too light and unstable, the racecourse also had to be moved over to the Gwangan Bridge, where 8 – 10 knots of quite steady wind offered excellent conditions. “I got too greedy and wanted to close Katie out at the last prestart, but instead she could luff us over the line a few seconds too early” Ulrikkeholm Klinkby analyses her second semi race. “We had two good races against the Dutch, happy to get really warm and learn a lot about the conditions before the final matches” says Le Berre. “Instead we had to get ourselves together. At least we wanted to secure the runner-up position in the Series. We tried to focus on old-school match racing, and got two good races for third place in the event, in more steady breeze than the other days” Ulrikkeholm Klinkby explains. The Danish strategy worked well as they defeated Renée Groeneveld 2 – 0 in the petite final, finishing 3rd in the event to secure 2nd place in the 2015 WIM Series and 12 000 USD of the prize pool. “We were six boat lengths ahead, but they got a puff that never reached us” Le Berre sighs. 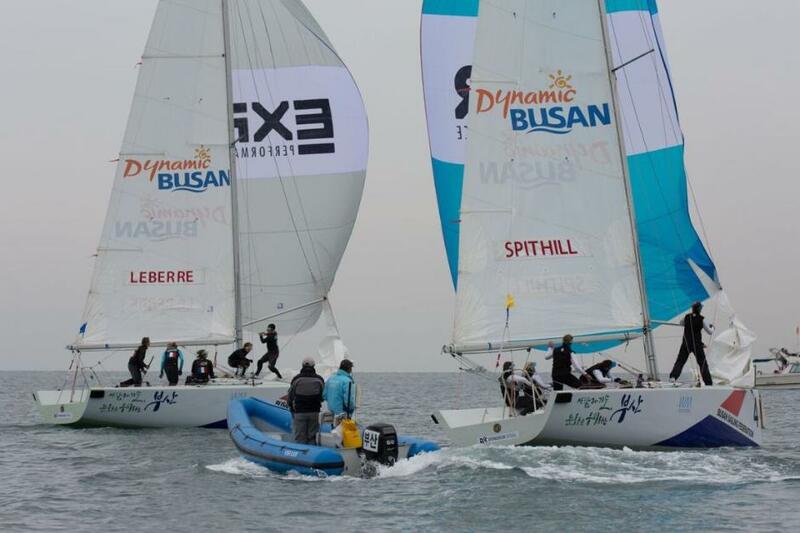 The Race Committee now found more stable wind just off of the Haeundae Beach, and moved the course there for the third start. Once again the French boat had a good lead, but lost a crew member over board in a gybe, and were defeated. “We had a very fun final and my crew did an amazing job out there. It helps a lot when we can sail faster and with the right tactics” Le Berre points out. “We possibly could have nailed the starts a bit better, and also taken better decisions regarding the shifts, but considering we haven’t practised a lot we shouldn’t expect to win” Spithill admits, showing interest in doing a more ambitious campaign next year. “It wasn’t in our hands so of course we were anxious. We’re really impressed on how the other teams concluded the Busan event. We really miss Steph here, but we’re happy to accept the title on her behalf” a relieved Shea says, sending her congratulations to the other teams for their efforts. “I cannot praise my team enough for all of their hard work on and off the water. They are truly amazing teammates and I’m so lucky to have them. Their performance in Korea this week shows that it takes the whole team’s effort to be at the top” Roble praises. “We’re disappointed not to receive the overall prize money, but as a professional sailor I already had another commitment. I’m happy my teammates supported this and still fought hard to win. However, a title is still a title, and we are the WIM Series champions. Things are shaping up well for our team!” Roble comments. 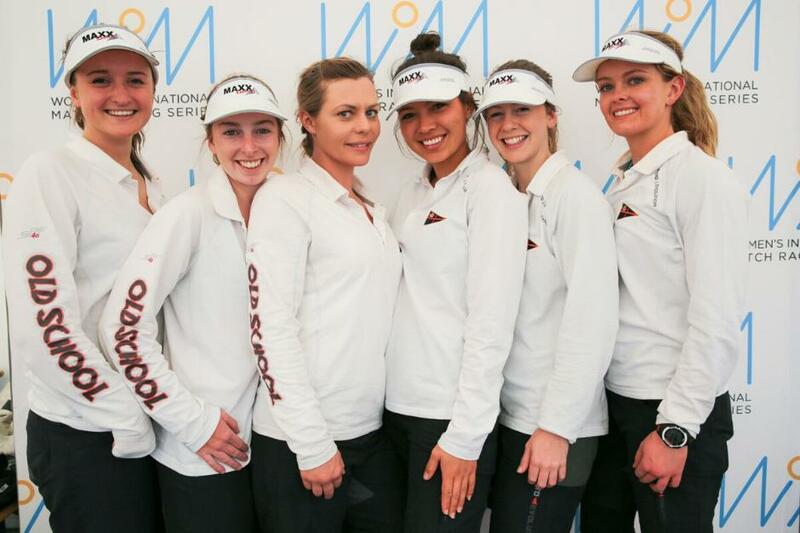 The 2015 WIM Series consisted of four events, all with different winners over the season. Lotte Meldgaard, nominated 2015 ISAF Rolex World Sailor of the Year, secured the World Championship title at the first event on her Danish home waters of Middelfart. World #1 Camilla Ulrikkeholm Klinkby won her fifth consecutive Lysekil Women’s Match in Sweden. This season’s supreme skipper Stephanie Roble took her first WIM Series event victory on her home waters of Lake Michigan, Sheboygan, USA. Now French Champion Anne-Claire Le Berre crowns the season with her first ever WIM Series event triumph here in Korea. And all the WIM Series podium places are within an amazing range of just four points! 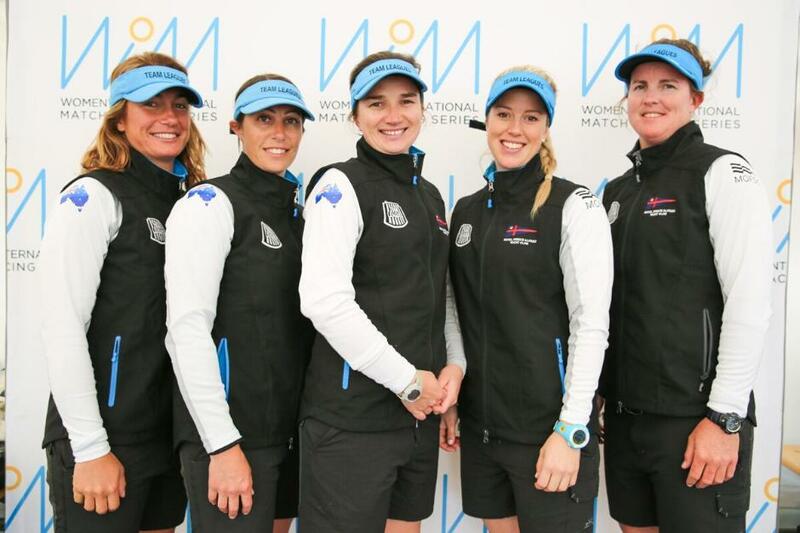 “We’re happy to look back at the third successful WIM Series season, and we’re equally excited to welcome the world’s foremost women match racing sailors back for the 2016 season” Liz Baylis concludes. July 8 – 12, ISAF Women’s Match Racing World Championship, Middelfart, Denmark, Match 28. August 3 – 8, Lysekil Women’s Match, Lysekil, Sweden, DS 37. September 16 – 20, Buddy Melges Challenge, Sheboygan, USA, Elliott 6. 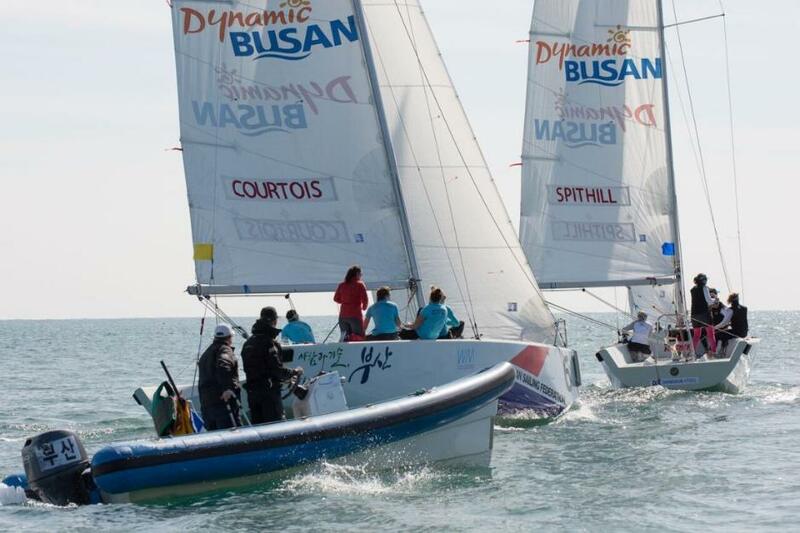 October 28 – November 1, Busan Cup Women’s International Match Race, Busan, Korea, K30. 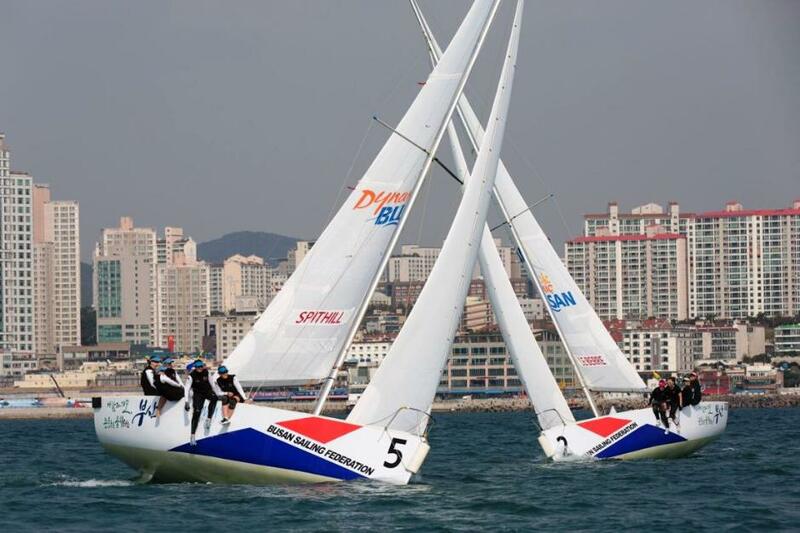 The Busan Cup Women’s International Match Race is hosted by the Busan Sailing Federation with the support of the Metropolitan City of Busan. “Maggie pushed us a lot in the prestarts, but we found the right shifts and had very good boat handling. 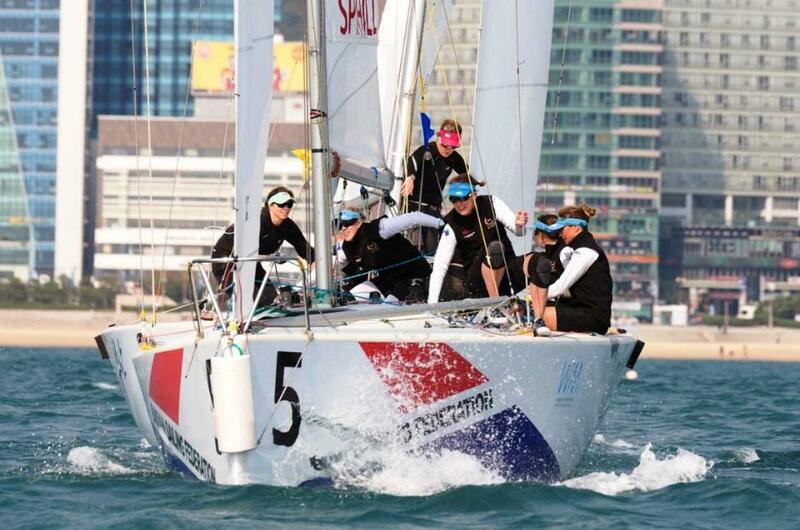 Now we’re going for victory, in Busan and in the WIM Series” the Danish skipper states. “We had really close races and most of them could have gone either way. We did the best we could, but now it’s not in our hands anymore” says Shea, congratulating the Danes. “It was stressful quarterfinal racing because we didn’t have much wind, and it was very tricky with a lot of shifts and puffs. Anything can happen in that kind of wind” World #4 skipper Anne-Claire Le Berre sighs. “We didn’t make very good starts, so we had to work well with the tactics to compensate for that”, says Le Berre, who at the debriefing afterwards chose Dutch rising star Renée Groeneveld as her opponent for Sunday’s semi final. “In the match we lost we got a big rope stuck under our keel and rudder, but apart from that misfortune I think we made good starts and played the shifts well” Groeneveld comments. “We haven’t sailed a lot together before, but now we’re really into the racing, with great boat handling and manoeuvres. The girls did really well today” the Dutch skipper praises. “I got the timing wrong when I pushed Caroline over the starting line too early, and then followed her over the line when I didn’t actually have to. It was a brainfade and a silly mistake, but no more mistakes from now on!” Spithill makes clear. “Today was good training in light wind, and we’re ready to fight tomorrow” the skipper says. The fight for the coveted WIM Series title and the Terry J Kohler Perpetual Trophy will now continue without the Series’ leaders of Epic Racing. However, the American team can still get the title, if Ulrikkeholm Klinkby doesn’t reach the final. Anne-Claire Le Berre can as best finish runner-up in the WIM Series, but only if she wins the Busan event and the Danes finish fourth here in Korea. 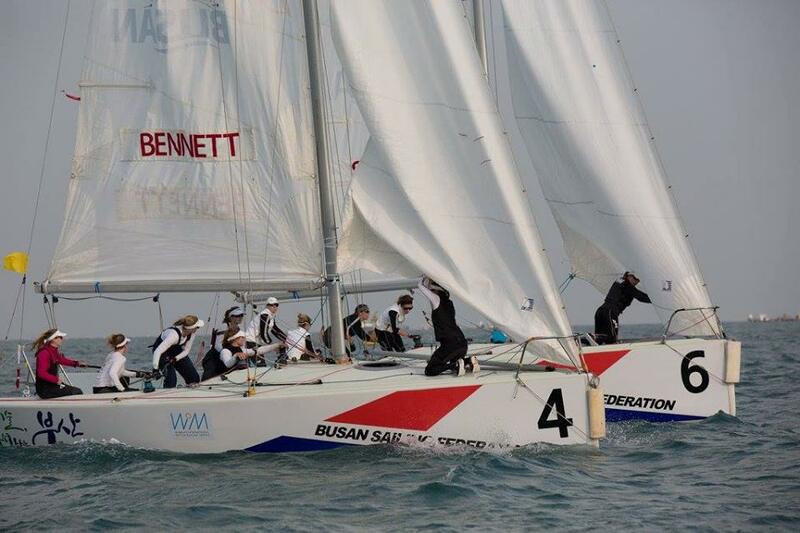 Follow the exciting conclusion of the 2015 WIM Series on www.wimseries.com, www.facebook.com/WIMSeries orwww.twitter.com/WIMSeries. “It was a great day for our team, no mistakes was the key. As long as we keep sailing this way it’ll be just fine” she comments. “We had a close prestart against Anne-Claire, managed to push her over the line and then stay ahead until the finish” Spithill explains. “A lot of our races today were close, because of the quite shifty conditions. We had to make sure we stayed near our opponents, with no big splits” she clarifies. “We’ve done a good job, with great crew work and excellent boat handling in the team. But it’s also been very demanding, and we’ll certainly be happy to go to bed tonight” Le Berre smiles, praising the K30.s that are sailed in the event. “The French sailed really well today, executing their game plan when I messed up at the top mark” skipper Maggie Shea says, praising her team. “We had a lot of fun and even when I made some mistakes it wasn’t a big drama. Everything worked out smoothly and we had great tactical calls, so I just drove the bus” she smiles. 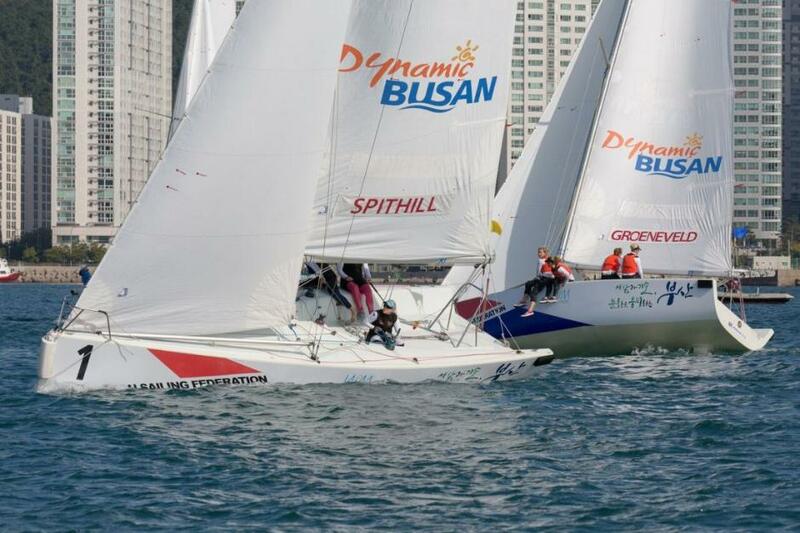 The round-robin of the Busan Cup Women’s International Match Race, the fourth and final event of the 2015 WIM Series, is planned to conclude Friday, followed by the knock-out stages over the weekend. “The starts were especially challenging, but my crew did a fantastic job. 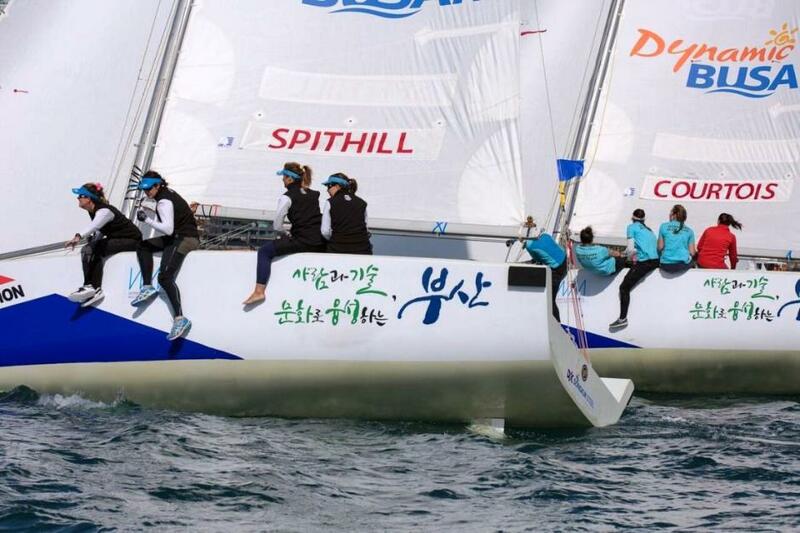 They crushed it today” smiles Maggie Shea, substituting for regular skipper Stephanie Roble at the Korean event. “There are many races to go, so we’re not worried. The first races in a new boat are always a bit difficult, but I think we did quite well in the shifty breeze. I made a stupid mistake in one of the prestarts, but apart from that I’m not very disappointed” says the Danish skipper. “It seems like we needed a couple of races to get going, but now everything works fine and we’re happy with our first day here in Busan. We’re trying to have fun, taking one race at a time and learning a lot from every situation” she comments. Fellow Swede Anna Östling, Katie Spithill of Australia and French Anne-Claire Le Berre raced just two matches each today, but they all managed to win both. This trio is now the only undefeated teams in the event.